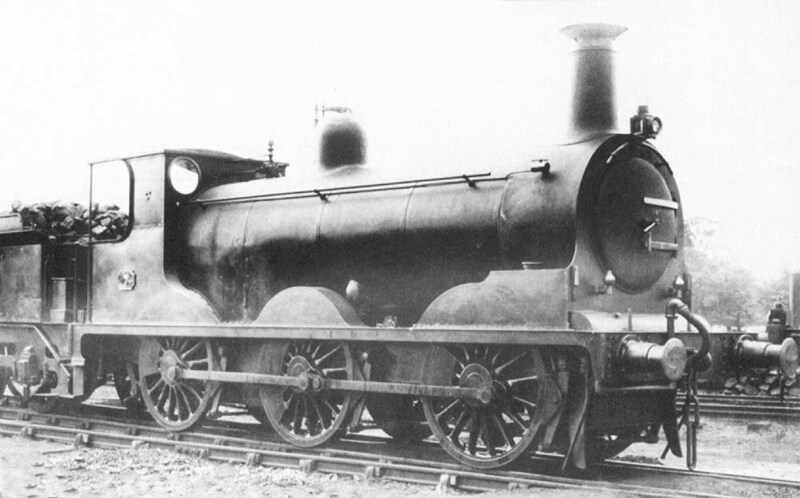 SMJ 0-6-0 No 7, an ex-LBSCR locomotive purchased by the SMJ in 1920, seen standing outside the shed. Bought from the LBSCR in 1920 for the sum of £3000 despite the fact that it had already completed 750,000 miles in service. It was originally built in 1884 for the LBSCR to Stroudly's C1 class design and given the LBSCR running number 428. It was allocated the LMS running number 2303 but was withdrawn in 1924 before it bore the number.